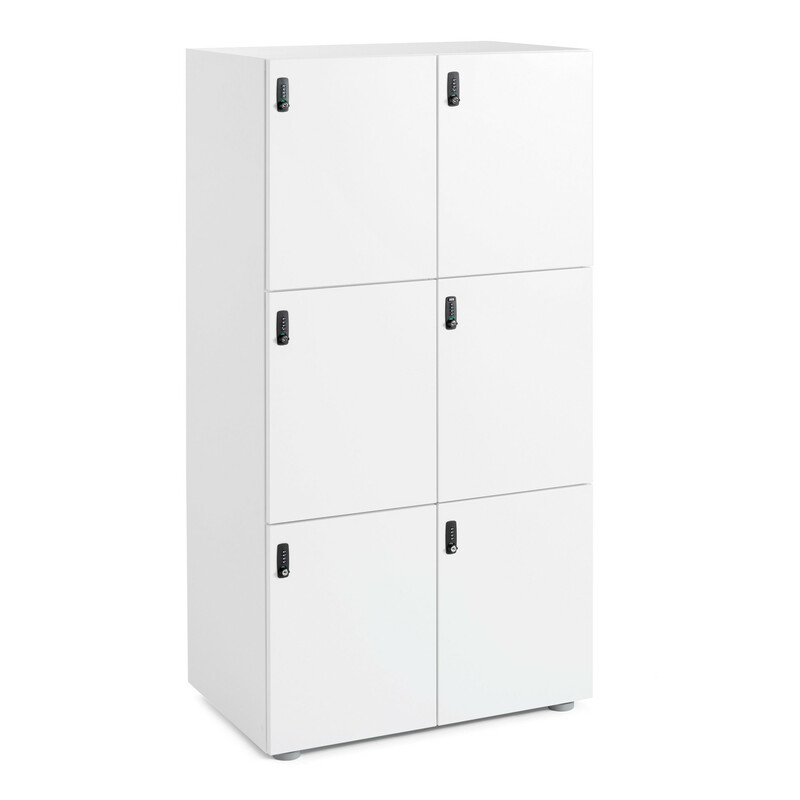 Ideal for hot deskers and co-working spaces, our Stash Lockers offer secure storage of personal items including bags, coats, and favorite snacks. 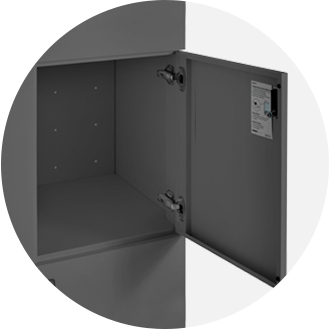 Overall Product: 31.5"W x 20"L x 59.5"
The Stash 6-Door Locker ships in 1 box with a total weight of 143 lbs. Need your storage to go? 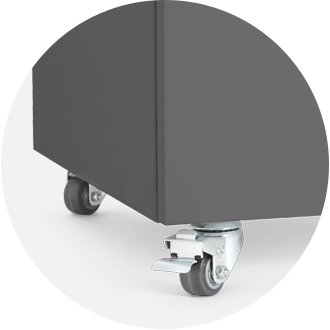 Locking casters are sold separately. 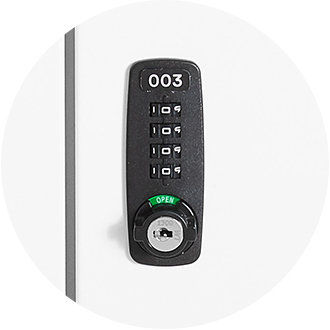 Each door has a reprogrammable tumbler lock for total security. Powder-coated steel construction inside and out.